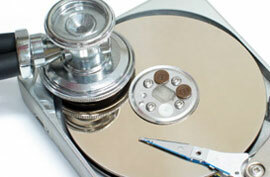 Standard Data Recoveries have a completion turnaround time of 5-7 working days. 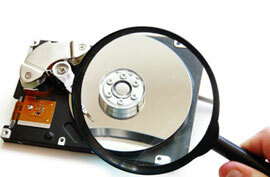 The first step towards your data recovery process is to have our engineers diagnose your drive and determine the proper steps needed to properly recover your data. Once your media has gone through a thorough diagnosis by our data rescue engineers, we will inform you of our findings and provide you with a firm and accurate price quote. Customer will then be asked for their full authorization to allow our data recovery engineers to proceed with their recovery. The job will then be placed in the order it was received. In certain circumstances, people need their data back fast. For these situations we offer our Priority Data Recovery service which brings our completion turnaround time down to 1-2 working days. Our expedited service encompasses the following allowing you to “get back to business” in no time at all. 1. 1 -2 business day expedited service. 2. High speed FTP servers allowing you to remotely download your data. 3. Priority Shipping options to have your media back to you. 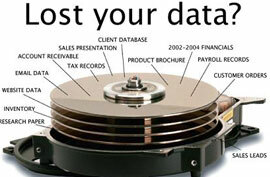 ZYVATECH recognizes that in many instances, customers require their data rescue ASAP! Because of this need, we offer our Critical service which immediately dedicates our engineers on your particular job be it a partition recovery, virus recovery, or hard disk data recovery until it is complete. This service includes non-business Store Hours, nights, weekends, & holidays. Our expedited service encompasses the following offerings allowing you to “get back to business” in no time at all. 1. Immediate attention be it weekends, after Store Hours and holidays.